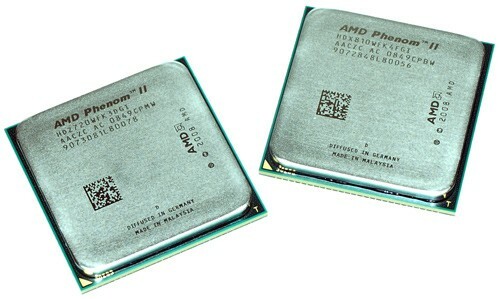 AMD, a company not exactly known for meeting its own deadlines, seemed to be trying to avoid news of painful delays for the Phenom II by simply not letting anyone say when the thing would be available. Now the chip is apparently in the hands of one lucky gamer at the HardOCP forums, Table21, who was kind enough to run it through its paces. The Phenom II 940 running at 3GHz scored a 4,091 on 3DMark06 and, once OC’d up to 3.85GHz, delivered a score of 5,086. It’s rather too early to draw any conclusions from these numbers, and we don’t know what he paid for the thing, but that performance does fall well behind Intel’s Core i7 Extreme that was similarly benchmarked last month, scoring 6,608 at the same clock speed. That’s quite a gap — but nothing a little liquid nitrogen won’t fix. AMD has delayed rollouts of its higher-speed enthusiast level quad-core CPUs for at least one quarter. 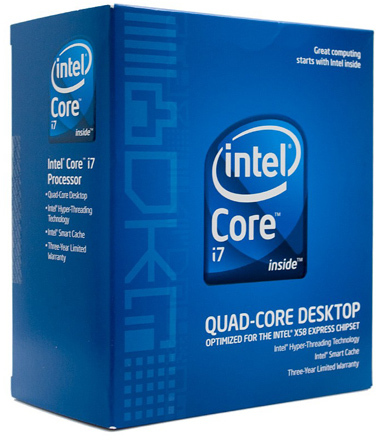 In addition to their mobile Extreme CPU, Intel has also announced its 3.0GHz Core 2 Extreme processor, the 65-nm QX6850 with four cores and dual 4MB Level 2 cache. The QX6850, touted as the fastest consumer processor now available, is the flagship of their new 1,333MHz Front Side Bus CPU family, which includes the Core 2 Duo E6850, E6750 and E6550, all of them with cheaper prices than the previous generation. 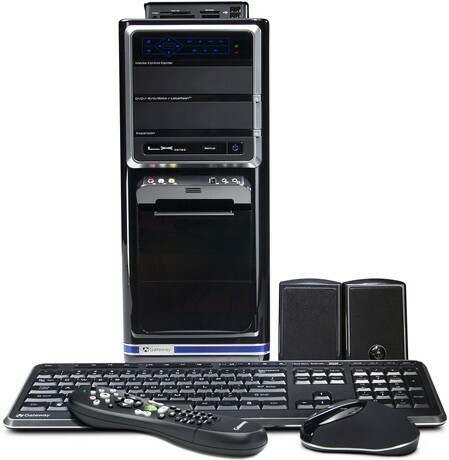 When it comes to quad-core chips, good things come to those who wait, Advanced Micro Devices believes. After years breathing AMD’s dust, Intel beat its rival to the punch by releasing its quad-core Xeon 5300 “Clovertown” processor for servers in November. But AMD’s “Barcelona” quad-core chip, due to arrive midway through 2007, will be a significant notch faster than the Clovertown chips expected to be on the market at that time, said Randy Allen, AMD’s corporate vice president for server and workstation products. “We expect across a wide variety of workloads for Barcelona to outperform Clovertown by 40 percent,” Allen said. The quad-core chip also will outperform AMD’s current dual-core Opterons on “floating point” mathematical calculations by a factor of 3.6 at the same clock rate, he said. Trumpeting the performance of unreleased products is not a strategy unique to AMD. When launching the Xeon 5100 “Woodcrest,” chip Intel said its chips would beat AMD’s by at least 40 percent. For its part, Intel points to Sun Microsystems’ announcement on Monday that it would sell Intel-based servers, ending its reliance on AMD as its exclusive x86 server chip supplier. “We’ll let our competitors talk the talk while we walk the walk,” spokesman Bill Kircos said, adding that Intel will improve performance and energy efficiency compared to today’s products. Clovertown “has allowed Intel to put some pricing pressure on AMD. Intel can tout a lower price per core, given that it’s pricing much of the quad-core Xeon 5300 line the same as its dual-core Xeon 5100 chips,” said Technology Business Research analyst John Spooner. AMD stands by its Barcelona engineering decisions, though, including its choice to build a single chip with four cores rather than employing Intel’s dual-core, dual-chip package approach. 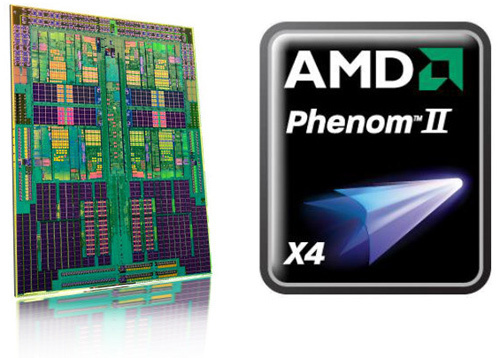 AMD calls its approach “monolithic” or “native” quad-core. Customers don’t care whether chips are monolithic or combine separate processors, Allen said, but they do care about performance. “We came to the conclusion that, given the capabilities and performance with the monolithic design, it was clearly the right answer,” Allen said. • It’s AMD’s first chip with a built-in level-three cache. Cache memory can respond faster than main memory, and Intel has relied on large amounts of cache to improve its processors’ performance. Each Barcelona core has its own 64-kilobyte first-level data cache, 64KB first-level instruction cache and 512KB second-level cache; and the four cores together share a 2MB third-level cache, though AMD has said that size can be increased. • AMD redesigned the Barcelona core, marking the biggest changes since the company made its 2003 transition from its 32-bit Athlon chips to the current 64-bit lineup. The magnitude of the transition is about halfway between the small tweaks AMD has made to Opteron over the years and the clean-sheet redesign Intel employed in moving from NetBurst to its current Core design, Allen said. • A faster floating-point engine performs mathematical calculations–long an Opteron strong suit, though not as important a part of the chip as that for integer operations. At a given clock frequency, a Barcelona core outperforms a current Opteron core by a factor of 1.8. By going quad-core, a Barcelona chip overall will provide a boost factor of 3.6, Allen said. Not all things are better, though. Specifically, Barcelona’s clock frequency will be lower than that for the company’s dual-core chips. That’s a common situation because quad-core chips require more circuitry, and more circuitry means more power consumption and waste heat, unless the chips run slower. AMD is moving its manufacturing from a 90-nanometer process to a 65-nanometer process, permitting more circuitry to fit in a given amount of chip real estate. Even with that change, the quad-core chips will run more slowly, Allen said. He argued that it’s worth the tradeoff, though, since the additional cores can run more jobs simultaneously, even if an individual job isn’t completed as swiftly. “The slight degradation for frequency with quad-core will be overwhelmed by the increase in performance from dual-core to quad-core,” Allen said. He declined to mention the chips’ frequency.